Our business is small, local and family run. Our eye tests are not free because we believe that having an experienced optometrist take care of your eyes health is worth something. When you want to buy contact lenses, we only sell you the lenses that you need without tying you into schemes or direct debits. All of our frames come with a full one years fault guarantee to give you peace of mind. 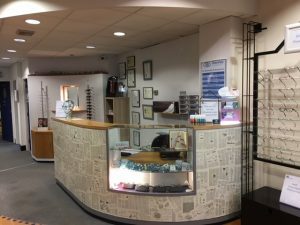 Our fully qualified, experienced staff makes sure that you have help to personally choose one of our unique frames and that it fits and suits you. If you have ideas about other frames you would like we will search through our suppliers and order in frames especially for you to see. You can take some frames home to show your friends and family and make sure that you are 100% confident in your frame choice. We do offer you VALUE. We care about providing you with high quality, professional eye care and addressing your eye care needs. 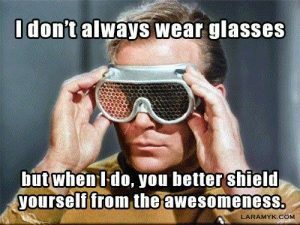 Our team give you impartial advice and if you do need new glasses we offer you choices of quality frames and lenses. All of our frames come with a full one years fault guarantee to give you peace of mind. Our business is based on providing quality service, products and aftercare. The best advertising we could hope for is your goodwill. We strive to maintain our good reputation and recommendations. As a local business we invest into the local community and hope that you will too. Quality eye care is much better value than you might expect! All of our Optometrists are trained for four years and have many years of experience dealing with eye emergencies and problems. 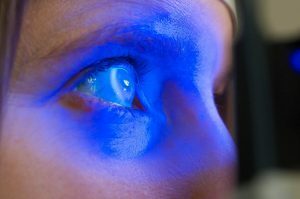 If you have a sore, red eye or vision problems we have the expertise and equipment to assess and diagnose your ocular health problems. At only £25 for a full sight test and £15 for an assessment of a sore eye we offer great value without you having to wait all day in a hospital casualty or waiting up to a week to see your GP. We can assess the problem, offer advice and make sure that if needed you are referred onto the correct place efficiently and quickly. Are you eligible for free eye care? Many people are entitled to a free NHS eye test but do not know how to go about claiming it. It is as simple as filling in your medical number and signing a form. To book your NHS eye test, simply contact the practice, explain which of the above categories you fall into then simply sign a form. You may be entitled to free glasses and we also have a wide range of frames which you can upgrade to from the free NHS frames for a small charge.